Many ask How Does Twitter Work? But that isn’t really what you need to know to learn how to use Twitter. The most important thing to remember about Twitter and other social media sites is that they are SOCIAL. It isn’t about broadcasting or advertising. It is about interacting and relationships. You do NOT have to live on Twitter like I do to benefit from using it. Just pop in whenever you have a little time. Click on @mentions and answer any tweets that came to you. Type your username into the search box and answer any tweets you’re interested in that mention you. Share and retweet what interests you. SlideShare above. If you want your content turned into a SlideShare or video, contact Julie here. Everything you to know from the basics to advanced Twitter strategies to becoming a major influencer. Twitter Limits – What they are and what to do if you hit them. People who are influencers on Twitter and who write blogs can create a better world for us all. If you’re serious about being influential I encourage you to contact me and to follow the other influencers I linked to in my Small Business Advice post. Want more? See my lists of Exceptional Bloggers with Influence on Twitter. HAVE QUESTIONS? Tweet @GrowMap for answers (no charge). Gail @GrowMap can help you. See the Hire Me tab. i think that twitter is a very powerful traffic source, and if we avoid the bad habits we can make use of it. Twitter is a major source of my traffic and how I share quality content (mine and others’) and keep in touch with other influencers. Although many of us are also connected on Skype, it is Twitter that made us influential. Twitter is a best social media to share short message. we can promote our product on twitter. Golam Qauser would love you to read ..How to Remove Background from a Picture Using Photoshop ? Thanks for guiding us Gail. I go through your content and realize that how often small business owners can overlook the benefit of twitter. I have read your post, I try your best practice, really help me much to grow my audience on twitter, because I have more than one account, so it was really great best practice.. I gave a try to Twitter list and I must say that it is an amazing idea to work on. Your Twitter followers increase day by day but you definitely have to spend a little time on finding influencer kind people. I also check twitter counter, just to know what are top 10 twitter accounts. I follow top accounts and at the very same day my twitter follower increase. Try this trick mate. I am actually Facebook addicted, i always wondered that how twitter has a huge use, i get the answer of my questions in this useful article. Now i will apply these tips on my twitter accounts. Facebook seems to be more for socializing while Twitter is where we keep in touch with collaborators, find content, and hear about breaking news. Gail Gardner would love you to read ..Do You Have What it Takes to Found a Startup? Hi Gail Gardner thank you very much for reply my comment, i got it what you wanna say. i really appreciate your reply. Love the bite-sized format, Gail – easy to scan and click on what I need/want to learn more about. Thanks, Ana. I was trying to make it easy for beginners while still having advanced strategies available for those who are ready for them. What an amazing resource! I’m glad you updated and re-published this guide. I’ll be sharing it my clients going forward. Seems that a lot of folks still don’t understand the benefits of being on Twitter. Thanks, Brent. I find that people new to Twitter are often confused. What each of them sees depends heavily on who they follow. That is why I wrote this post the way I did – so they could get started easily and not spend too much time on it. Amazing article! I am a social media manager and I’m still learning something new every day, great post! Especially like the focus on tweet length. I also pay close attention to the visual appearance of a tweet, the included hashtags and any links that may show up. Thanks for the complete list of Twitter related articles. I have started reading these articles and got some really good tips. Also, I had to think of the strategy I was using to promote my posts on Twitter. You’re welcome, Arbaz. I’m glad you found the information useful. Thank you Gail for sharing this valuable information about using twitter effectively. I should definitely try this strategy you have shared. Thanks for this curated posts you’ve collated here. It was a good read, I got a couple of strategies re-emphasized. I’m glad I read this post and I noticed the way you curated the post, very creative, I’ll keep that in mind and try it out on my blog. Wow Gail, thanks for this consolidated information about twitter strategy. I been working with twitter for multiple social media campaign and these are the same reference I apply with. Over the last four months I started getting serious about Twitter and now it’s one of my favorite social sites. Like you said, it’s social. I find following up with those who re-tweet with a thank you and how is your week are really powerful at starting conversations. And, like you said, not just posting your own stuff but that of others. I’ve found it a great way to connect with other bloggers and businesses. If used right, it’s a great way to discover new opportunities for business. I really appreciate your post Gail and I’m clicking over to check out the link to the exceptional bloggers list. Thanks for dropping by and taking the time to comment. Twitter is my favorite and I’ve been collecting tips and strategies on it since 2008. In my case, I love it when people start a conversation about content or ideas. I sometimes struggle to answer “how are you” or “thanks for following” type questions. While I’m not a big fan of tough questions as a way to start new relationships, I do tend to answer them. You’re welcome, Erastus. If you have any questions feel free to ask in my comments or tweet @GrowMap. I am pretty new to websites and twitter in general. I make sure that I tweet anything that I write, and sure enough some people started following me. It is early days still, but the give and take nature of this platform definitely works and is exciting to see grow. Thank you very much for providing such great resources here Gail. I am so behind when it comes to twitter. I have not been able to take advantage of it for traffic and promotion, as I don’t really know who to properly use it.. If you ever have questions or need help you can tweet at me or ask me here or add me on Skype (username growmap) or see if I’m online in chat at http://SocialImplications.com. LOVE this Gail, thank you so much for the resources. Definitely bookmarking this so I can come back to it later on. Definitely a couple of articles that I have not read of before. Thank you. Feel free to share this information with any and all. Most are still not using Twitter very effectively and many never think to even check to see who is trying to interact with them. I teach these strategies one-on-one and when mentoring groups so that we can all work toward building a better world. Success requires optimizing and attention to detail – and that is a lot faster and easier when we share what we learn with each other. Those who think doing things with mediocrity will not get the same results as those who get serious and keep building on their strengths and planting seeds for future growth. Wow, just beginning to mine this Twitter resource. Have to admit I don’t make maximal use of Twitter, and sometimes wonder about my etiquette. There’s so much stuff to look at I wonder how other Twitter users sort through it all. For example, I found this article on my latest Twitter feed! That’s the beauty of collaborating using CommentLuv – we can learn what works and implement it much faster. It still takes time, but the tips in this post can really make a HUGE difference. That is why I often include TwitterCounter images in them as visual proof that these strategies work. I have not been able to take advantage of it for traffic and promotion, as I don’t really know who to properly use it. I am hoping I can use the links and tips you included here to finally get going with twitter. Thanks. I just edited this post so I could more easily call your attention to what you need to know first. Just look for the big Twitter Star and the Sub-title SAVE TIME USING TWITTER. If you do just those things that will make a HUGE difference – and then you can use some of the other links and strategies to become influential on Twitter and send more traffic to any site that deserves it. I’ve written on twitter and love all the help you’ve provided. Just saw another blogger encouraging people to auto-tweet and buy followers. Should have told them to come here and see what Twitter is all about. Brian would love you to read ..What is Twitter? How Do I Use Twitter? And Does Twitter Really Matter? 1) That is a great way to get banned by Twitter and have to start over. 2) You don’t get targeted followers that way. How many followers you have is irrelevant – what matters is having followers interested in what you share who want to interact with you! Don’t just tweet your own posts or people will stop following you. You have to share other interesting things and interact with people directly for Twitter to really be effective. You’re very welcome, Sharon. If I can ever be of assistance or you have any questions about anything I’ve written do please just ask. growmap would love you to read ..Bloggers: Are You Doing Link RoundUps? Or Recommending Each Other for FollowFriday #FF ? If you wish to use twitter for your business you should interact with people following you. Please them, you can do this by replying to their tweets or retweeting tweets that are worth sharing. Yes, being “social” is what social media is all about! The main problem for most of the online entrepreneurs is they they only tweet about their blog or business. That’s the biggest mistake. There is nothing wrong to updated your followers with your latest posts. But if you do only that and do not reply too often and neither you interact with them, you will rapidly loose them as followers. matei would love you to read ..Inflatable Wetsuit: Mandatory Accessory For Surfers? You’re absolutely correct – and that is what inspired me to write the post mentioned in Step 9 of this post. When I started trying to use twitter I made the mistake of using twitter just as a “sales pitch” to each post. This was probably annoying to my followers. You need to interact more on a personal level and your occasional sales pitches are more effective. I suspect most of us started out making that mistake. Besides being somewhat boring to your existing followers, when someone new checks you out if your Twitter stream is nothing but repeated “buy from me” tweets who would want to follow you? This is THE most common mistake I see businesses still making today. Even more important is to actually have conversations instead of broadcasting. THAT is what REALLY works. Did you click through to the post on Using Twitter Lists for more details? I would be happy to answer any questions you may have. The way social networking sites are improving are amazing to think sometimes. It’s a boon and we have to use it wisely. I devote more time on facebook but after reading about all the new different ways I can use on twitter is making me lean more towards using twitter. I also noticed that Twitter introduced the IOS application which include the Quick Bar but sadly this new update does not take away the dickbar. Be sure to check out my post on how to geo-target your Twitter account. It is #15 in the list in this post. What local businesses including realtors need to understand is that they need to reach their target audience – and most of the time that means other people where you are located. Few realize you can and should follow and be followed primarily by this target audience and you can make that happen fairly easily. It just takes some time to do it. Realtors should also think ab0ut what would keep their target audience interested in reading their blogs. Most people are NOT watching to see what is getting listed unless they are ready to buy so why not write about other things of local interest so you already have an established relationship and they think of you first when the time to buy or sell arrives? This is where my focus really is, with MSrelief.com I want to get tweetdeck up and running so I can see both my accounts on one page. Kimberly Castleberry loves houte suite but It’s not comming to me quickly, I first learned with tweetdeck but now after so many months and too many mistakes I can’t even get logged in to TweetDeck and when I tried to download it again, it remembers my lindagrace8 but it’s blank! I’ll read here and learn! My problem is that I can only devote about an hour a day to twitter! Wish me luck! Thank you for all the information here! If Tweetdeck or Hootsuite are both too challenging to pick up for now, look at CoTweet. When I researched how to manage multiple Twitter Accounts Hootsuite was by far the most used and recommended, but the more powerful it gets the longer the learning curve will be. I found Cotweet much easier to learn and use and have still not made the time to learn Hootsuite because CoTweet does what I need to do at least for now. I am so excited that you found me! Twitter was the first thing I learned about when I started social networking. After TONS of learning about other social networks, blogging, viruses, brain overload, I’ve stopped focusing on Twitter. Now I need HELP to start again! I’ll be visiting you often! You’ll find just about anything you need in the links in this post including videos and how-tos for getting started on Twitter on that first link. If you have any questions just ask. Sometimes a quick answer is all someone needs for something new to become easy. I never able to use twitter effectively. Let i try your tips. Twitter is nice way to gain traffic. The problem with Twitter is that everyone is “talking” and nobody seems to “listen”. While it IS true that many are using Twitter only as a broadcast medium, those who interact with others will see much greater success. Building relationships is the key. Twitter collaborations are always a good way to boost your presence and increase your reach. I really love this tip! I think having too much followers or following too many people is a bane. You just can’t keep up with their tweets or build up proper relationships. Each of us has a different calling. You CAN keep up with tens of thousands if you learn to use Twitter lists to hone in on what you need at any particular time. There is a link to a post about that in this post. Many accounts are zoombie accounts, followers exist but not real!!! I hate This! Yes, it is true that many accounts are filters that RT niche content or basically on auto-pilot; however, we simply focus on those who interact and don’t worry about those who do not. What has worked for me the most is to follow users that follow accounts with the same interests as me. As a result I get around 35% users that follow me back. It may not sound as much but 35 new followers each day is not bad. Not to mention that my traffic from twitter has increased accorsingly as well. Yes, that it the gist of one of the key posts on this page. I get the highest percentage of real followers who follow back from following @Kikolani’s followers – and that makes sense because Kristi and I write similar content and mention each other often. Thanks for these tips Gail! Very much helpful! Also if you have a high PageRank in your Twitter profile, I believe the links you tweet will have an effect on the search engines results , the link could potentially help get a rank as well. The authority person’s tweets are also beneficial for organic search especially in Google. Thanks Gail for the great share! I noticed today that I don’t see PageRank on Twitter profiles any more. I suspect that is because of this latest change at Google that promotes Google+ and doesn’t include any social shares for Facebook or Twitter. See Google + Your World = Google + Google+. Although we are using Twitter for our toner business, we are yet to see its effect on increasing brand awareness, customer loyalty, and more importantly sales. You have the challenge of having an enormous, highly divergent and not very targeted market that will only be interested when they need toner or ink. That type of product is also much harder to write or find compelling content to share. You might want to try finding either highly entertaining computer related blogs or tech gadget bloggers who frequently write about new computer products to feed using the TwitterFeed strategy linked to in this post. Businesses that sell common products need their Twitter accounts to have a personality and interact on things besides just your products. I agree that interacting by providing useful assistance IS the very best way to benefit from time spent on Twitter and other Social Media sites. I am just to start using Twitter Feed. Isn’t it the same as perhaps dlvr.it? There are many ways to feed to Twitter. Dragonblogger suggested that we might like dlvr.it better but I haven’t made time to check it out yet. If you already learned all that in 6-8 mos. you’re definitely a fast learner. The two posts that serious bloggers should check out are the one about TwitterFeed and growing followers in specific niches. While Twitter began as a self-promoting platform, like a sort of microblog, the application has evolved to become a social media tool which allows people to express their opinion on a certain topic. This is very much helpful to market analysts in need of ideas to improve their product. For instance, an energy drink company introduces a new product in the market and tweets about it. While feedback may come in the form of blog review, raw data may also be sourced from Twitter. By just typing the name of the produce on the search tab, you can see who among the Tweeple patronize your drink. Just getting started with Twitter, and I just finished the article on using Twitterfeed to post others’ blog posts. That’s brilliant! I have to be honest, I’m still struggling to see the “big deal” of these social marketing sites. I suppose it’s because I’m not the most social person, lol. But, I’ve come to the realization that it’s time to get on board. Too many success stories to ignore, ya know? The benefit of using Twitter is that it makes it easy to filter interests by subject using lists and connect with others who are in your target audience. Twitter is the primary method the very best bloggers in the niches I write about and read regularly first “met” and connected and that led to collaborations that greatly speed up learning curves of all kinds. Instead of each of us learning how to do something individually, we each learn different things and then pool our knowledge. When multiple bloggers already know a subject well, we compare experiences and come to a consensus on best practices. You can see who the bloggers are that I collaborate most often by looking at the list in my recent post about joining BizSugar to find and share Small Business Advice. When a new solution comes out to do something instead of us all having to check it out we decide who wants to look at it and that person or persons can then fill the others in. Thanks for the reply – that makes so much sense. I guess I just never looked at it that way before. So, essentially you’re forming a mastermind group online vs. in person. I like it! Since I’m new to using Twitter, I wasn’t familiar with using lists (until I read your post, lol!) to segment interest groups. I like that idea, as well. Yes, we use Twitter to connect and then take our “Master Mind” groups to a domain we control (because Twitter and Facebook censor some shares and sometimes just delete accounts out of the blue). Twitter is like a fast way to leave messages for busy influencers so that we can operate at full efficiency. Thank you, Cynthia, for taking the time to comment so that others will benefit from your experiences. I believe that Twitter is an essential part of any Internet marketing effort and highly valuable for connecting with people who can be very difficult to reach using any other method. Do you have a blog anywhere or are you interested in doing any business blogging? Check out my post on the benefits of using KeywordLuv and also be sure to see the section on using CommentLuv Default Links for anchor text in my post about CommentLuv. You may want to consider Kristi Hine’s new ebook on advanced methods for promoting blogs and specific blog posts. Have to be honest I still just don’t get the whole twitter thing, I have had an account for a while and even read a few books about using it but it just doesn’t appeal to me. As a business owner there are supposed to be lots of benefits for advertising yourself but it just seems to me that its used for talking rubbish most of the time. As you can see, when you look at the tweets on those lists they are primarily on topic and there is very little “talking rubbish” going on. Thanks so much for the links! I have been working on my twitter account and not really sure what to do. These links will help so much! These posts should answer just about any question you have so if anything is NOT completely clear please do me a favor and ask so I can improve whatever is not. If you do that you will be helping anyone else using those posts to improve their Twitter productivity. Sweet link list Gail, thanks. Speaking of having your link on your blog, all bloggers should use their twitter ID box (in comments) for themselves as well. I’ll have some more to add but I needed this post up quickly to link to that specific information from another post that went live elsewhere this morning. As you can see in my replies throughout this blog I totally agree with you about Twitterlinks and CommentLuv. 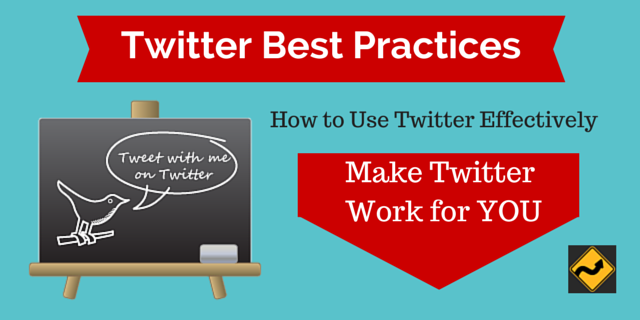 Thanks for the great list of Twitter resources! I find it crazy that so many people and businesses still don’t understand the best practices in using Twitter. If you spend your time answering questions, connecting people, and promoting others…it will always make for an incredibly positive experience. I have made an unbelievable amount of area connections through Twitter, especially in the marketing, media, and PR industries. It couldn’t be more worthwhile when used effectively. Thanks for taking the time to comment. Many ARE still confused about the value of Twitter as you can see by some of the comments in this post. They are probably watching the general feed flowing by full of silly nonsense instead of the kind of feed I see because I use Twitter lists and follow people with specific interests. I put some examples of highly targeted feeds in one of the other replies in this post that we can use to show people what a targeted Twitter account can look like. I feed only the blogs related to a specific account into it so it becomes an easy way to see the best content in each niche I am active in. I quit Twitter awhile ago. It’s just a waste of time, although if you’re smart there are potential ways to make some very cool connections (think angel investors, potential employers, etc) there. Other than that, ppl seem to use it for egotistical purposes, thinking everyone cares about what happens in their day to day life. Waste of time! If you believe Twitter is a waste of time you haven’t seen the true potential. The key is to have what you Tweet and who you follow match. For example, I originally followed other serious bloggers from @GrowMap because we share and are interested in the same things. Now I am connecting with more small businesses because they are who needs the information that I and my other bloggers have. In my NoBogies account I only tweet golf related stuff and only follow others interested in golf. I very rarely tweet marketing related posts there and I don’t feed any of the other blogs I feed into GrowMap into NoBogies. It could be argued that connecting with an angel investor or finding a new position make Twitter very valuable and definitely not a waste of time. I find that people who are extremely challenging to reach by phone or email can be easy to connect with on Twitter. What those who do not understand why we spend time on Twitter or why we follow so many people consider this. Every tweet I make from GrowMap gets about 60-90 clicks and when they go viral they can get 50,000+. I have screen captures from su.pr showing multiple Tweets with 30,000-50,000 clicks EACH for one event I was promoting. That kind of traffic is not easy to come by from ANY source.